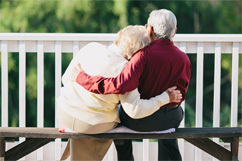 What are Qualified Retirement Plans? Plan document along with unlimited free updates for legislative changes. Most third party administrators charge for amendments and restatements. Plan administration including record keeping, quarterly participant statements, government testing and Form 5500 and 1099-R preparation. Plan communication including plan specific explanatory material, on site or online group meetings and individual employee investment consulting. Customer services. Most employers have plan participants contact us directly for all matters relating to plan participation. We have been at this for a long time so we have the technical expertise, experience and commitment to insure that you and your employees receive the greatest benefit from your plan. 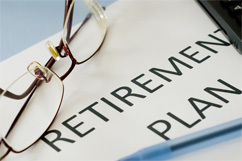 If you’re a small business owner who sponsors a qualified retirement plan chances are that you are a plan fiduciary. This means that you have a legal responsibility to make informed decisions on behalf of plan participants. You don’t have to be a retirement plan expert, but you should know enough to make the important decisions. The purpose of this website is to provide you with sufficient information to do just that. If you are looking for a plan administrator and want to cut right to the chase, click here. This section describes who we are, the retirement plan services that we offer and what it costs, including our $375 per year 401k pricing. Otherwise, I suggest that you bookmark this page for future reference. If you have questions, comments, or if you would like to know more about our services, click here to contact us. Securities offered through Cadaret, Grant & Co., Inc. Syracuse, NY, Member FINRA/SIPC. Bauman, Noonan and Associates and Cadaret, Grant are separate entities.